The Bachelor fans won't have to wait much longer for ABC to officially announce who will be the reality dating show's Season 23 star. Good Morning America has announced the 2019 The Bachelor star will be revealed on the morning show's Tuesday, September 4 episode. "TUESDAY: The new @BachelorABC will be revealed LIVE on @GMA! Who will it be and what will he say in his first interview as the new Bachelor? Don't miss him on Tuesday!," GMA tweeted Friday morning. Fans have come to expect this announcement to be made any day now, as franchise host Chris Harrison insisted to Entertainment Tonight earlier this week "it's only a matter of weeks" until the show goes into production. Chris therefore teased the announcement would be made "very soon." According to Reality Steve spoiler blogger Steve Carbone, the Bachelor has already been selected. Click here to find out who will allegedly be the franchise's new leading man. In light of rumors Ben Higgins was a frontrunner to be the Bachelor again, Chris clarified to ET that the Season 20 star was "never offered" the role. In addition to Ben, producers have also reportedly been considering Colton Underwood, Jason Tartick and Blake Horstmann for the next Bachelor. While The Bachelor star tends to be an eliminated suitor from the most recent season of The Bachelorette, ABC has departed from that format and picked total wild cards in the last two years, with Nick Viall and Arie Luyendyk Jr. taking on the role in Season 21 and 22, respectively. Nick was coming fresh out of Bachelor in Paradise when he was selected for the gig in 2017, while Arie -- who competed for Emily Maynard's heart in 2008 -- hadn't appeared on the series in five years. 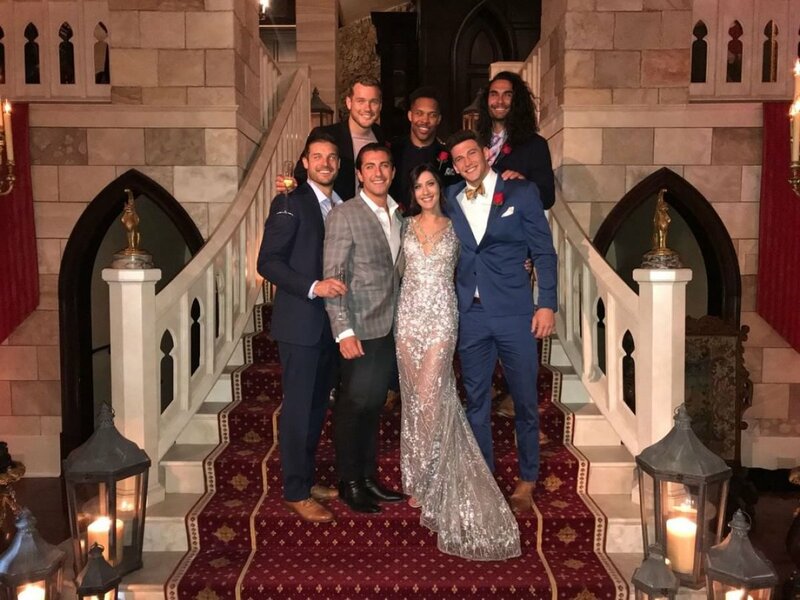 However, a source told Us Weekly that ABC's decision for The Bachelor's upcoming 23rd season "came down to a three-way tie" between Jason, Colton and Blake, all of whom had competed on Becca Kufrin's season of The Bachelorette. Colton also appeared on Bachelor in Paradise's fifth season, but based on a preview for next week's episode, his romance with Tia Booth might come crashing down and leave him single again. Jason, 29, was "hands down a fan favorite" following his elimination from Becca's season, said the source, and he previously made it clear he'd be open to the opportunity. "He's shown he would be a different type of Bachelor and that would be a good thing," the source told Us. And Blake, Becca's runner-up, is "sweet and sensitive," said the source, but Colton brings something fresh to the table considering he's a virgin. Colton, a former professional football player and charity founder, told the magazine earlier this month he "would love" to become the Bachelor. "I know that this show can work. I've seen it with [Garrett Yrigoyen] and Becca. I know what it did for me as a person and how it helped me grow into the man I am today. I would love the opportunity if I'm single after Paradise," he explained.